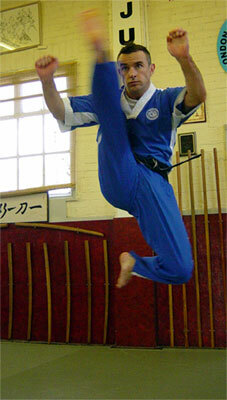 Paul Bosley has been training in Martial Arts for the last 24 years and is a 5th Dan Black Belt and qualified E.K.G.B. Instructor with the E.C.K.A. Paul has a degree in ‘Sports Rehabilitation and Athletic Training’ from Middlesex University, London. – HND in Sports, Coaching and Exercise Science. Contact Paul on 07752 228537 or email info@enfieldkickboxingacademy.com for more information. Paul teaches in Enfield, London.